Working as a team, participants define a human-scale problem, and determine criteria and constraints for success. 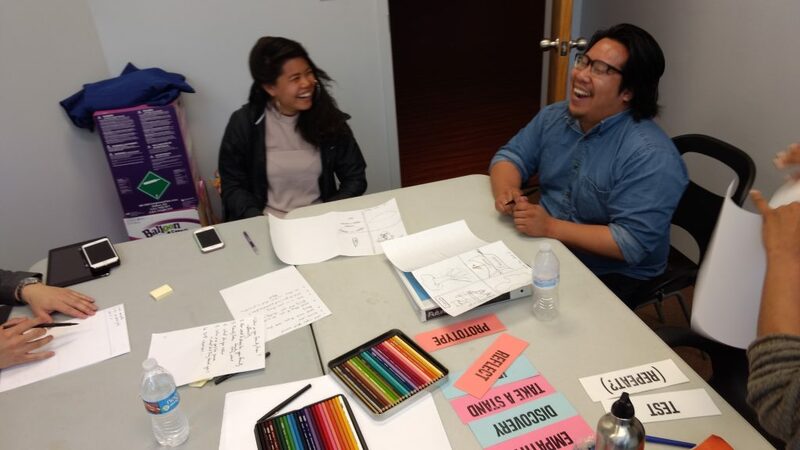 With goals in place, participants divide into pairs and interview each other, playing the role of both client and designer. Using their discoveries, participants all “take a stand,” writing a “needs” statement for their partner, In a lightning style brainstorming session, the participants ideate, prototype and test their design ideas, coming up with a finished design tailored to their partner in under an hour. Participants are given hands-on experience and a worksheet toolkit which they can adapt to any design problem. Great icebreaker for teams of young people. Excellent tool for teachers and facilitators who want to use design thinking in their own classroom or workplace.